Pastor Gene Backes' history at St. James West UMC began in 1979 when he was hired as the church's first Youth Minister. For 14 years, Gene developed and grew a thriving youth program, which included local mission work, camping retreats, and Spring Break trips to Florida. Gene moved on to serve as Lay Leader from 1987 to 2006, and then was hired as Pastor of St. James West. Under Pastor Gene's leadership, and with the assistance and enthusiasm of countless volunteers, Ministry and Mission has grown by leaps and bounds at St. James West! Sunday praise & worship developed into a modern format with the addition of contemporary music; a second Sunday service was added to accommodate our growing congregation; and a third service, titled "Mondays With God," was introduced to draw in a younger crowd who desired a more relaxed worship atmosphere. Additionally, Pastor Gene has served on leadership teams and been invloved with several outreach ministries including Evansville District Walk to Emmaus, Tri-State Tres Dias, Evansville Chrysalis, and Kairos of Indiana. He has also spearheaded a mission trip to Juarez, Mexico, and a spiritual retreat to the Holy Land. 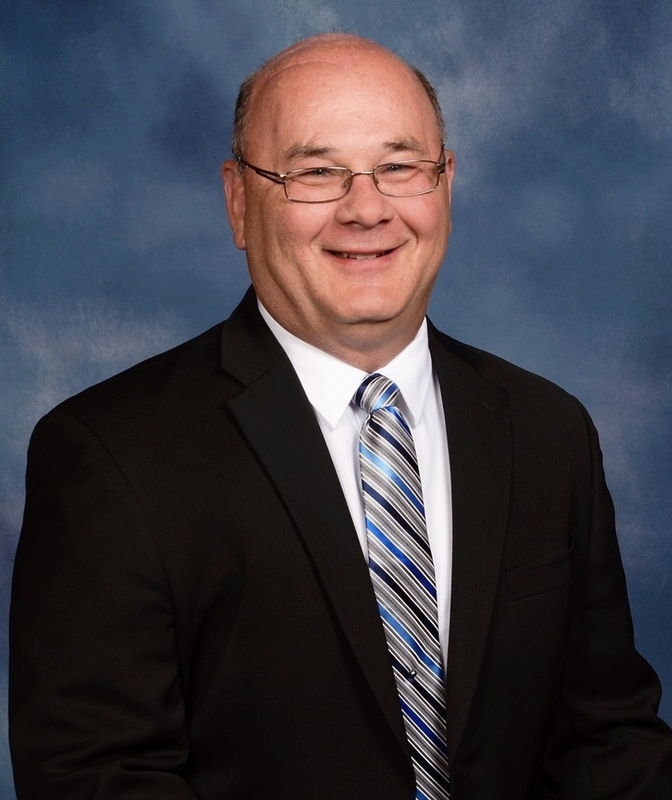 Pastor Gene is a graduate of F.J. Reitz High School and received his Master's in Education from the University of Southern Indiana (USI). He has additional graduate studies from USI, the University of Evansville, and Indiana Wesleyan University. Pastor Gene retired from teaching at Reitz in 2015 after more than 30 years, instructing students in Psychology, Sociology, and U.S. History. He has coached for both the track and wrestling teams, and continues to be involved with coaching for the Reitz Football Panthers. Pastor Gene and his wife Susie have two grown children; Jennifer (husband David) O'Neil, and Andrew (wife Andrea) Backes; grandsons Gabriel ("Gabe") and Joshua, and granddaughters Margaret and Adalyn. Pastor Gene enjoys reading, traveling, and spending time with his family, especially his grandchildren.